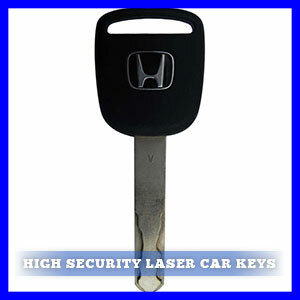 High Security Laser Car Keys Explained By your Local Locksmith Service. 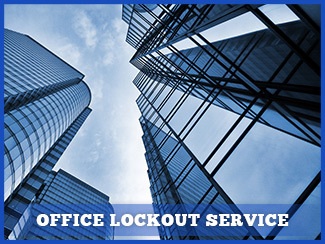 Today's vehicles have several security options that help prevent theft. One of the newest items available in the arsenal against car thieves in, is the precision cut high security laser car key. These unique keys are precision cut using a laser and are identifiable by the snaking of the cut groove, earning these high security laser car keys the moniker, "sidewinder." When these high security laser car keys are cut, the design is cut into the key surface, but instead of the traditional flat, elongated rectangular groove, high security laser car keys have an intricate patterning that resembles the flow of a riverbed, but since it sometimes doubles back, the notion of the sidewinder snake struck a fancy and stuck. Sometimes the laser cuts are made on the outer edge of the key and then back up the other outer edge, creating an image on the high security car key that looks very similar to regular key, but they are always cut on both sides of the key, making duplication a challenge. Another feature of high security laser car keys is that they are made of thicker metal than tradition or even other transponder keys are constructed. These high security laser car keys are standard for high end vehicles such as Lexus, but other manufacturers, like Honda, have begun using security laser car keys as well. Not only are these laser car keys cut in such a unique fashion that it prevents unwanted duplication, they are also equipped with a transponder to ensure the vehicle are not able to be hot-wired or driven off with a poorly made copy of your high security laser car key. High security laser car keys are fashioned using a specialized instrument that ensures the precision cut of the laser is correct within exacting standards, increasing security several times over compared to what are now becoming older keys. When you pick up your new luxury vehicle, chances are that your new key will be a high security laser car key, complete with a transponder and an electronic key fob that will allow you more control over your car's security than you have ever had before. 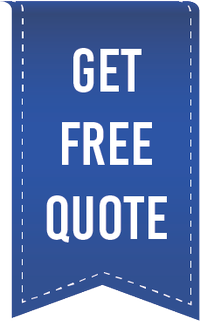 If you misplace or lose your laser car keys, you can get a costly replacement from the dealer and wait for it to arrive, or you can call your local locksmith whose expertise and fast response will have a new high security laser car key made for you in minutes. At American Local Locksmith we can also program your transponder so you will have a new laser car key, complete with transponder in your hand quickly, allowing you to get on with the rest of your day and that important afternoon meeting. High security laser car keys, once the key of the future, are finding their way into pockets all across the world as drivers embrace the added security and technology of the laser car key.